Want to have a grin on your face as wide as this guy? This is your chance! 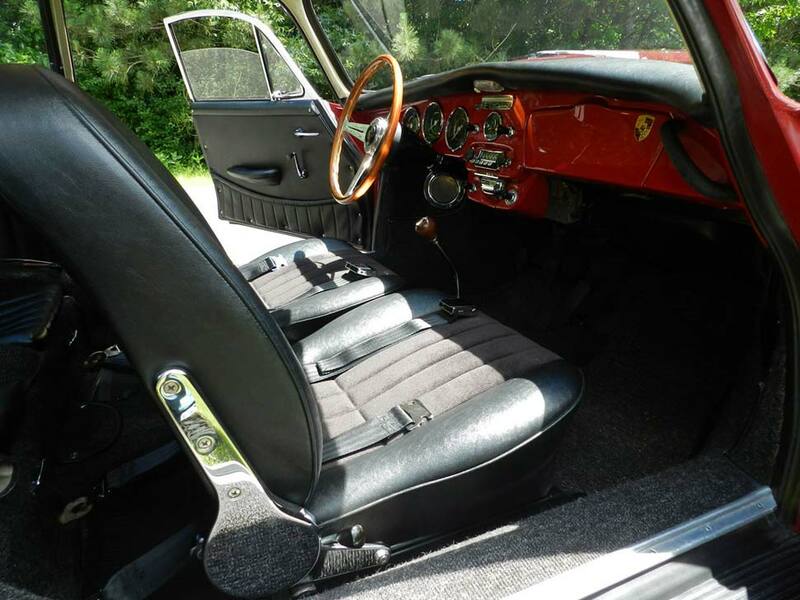 I’ve known this 1965 Porsche 356 C since it arrived in the Twin Cities back in 2014. It has been a participant on the Walleye 1000 Vintage Rally the past three years (a 500 – 600 mile romp over the paved back roads of Minnesota and Wisconsin along the Mississippi River). The owner is a good friend and hopeless Porschephile. 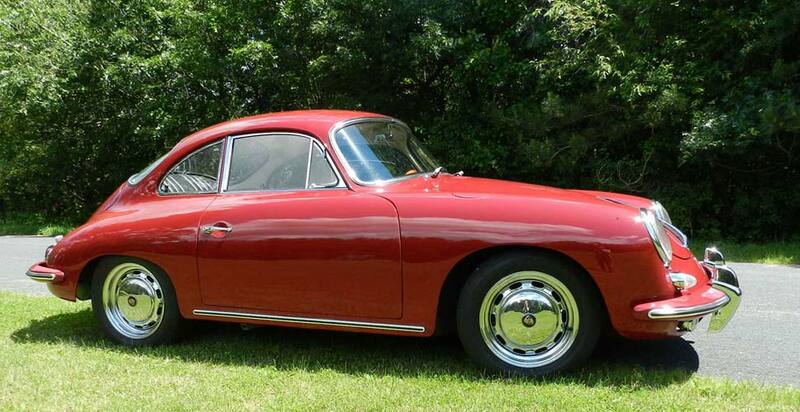 Selling because he ‘just couldn’t say no’ to another 356 that became available to him. This car is fully sorted and a great driver. I drove this car from the Twin Cities to Road America (Elkhart Lake, WI) in July 2017 for the vintage race weekend, approximately 700 miles round trip. Read the article I wrote about that weekend and this very, very fun car by following this link. Exterior: Ruby Red (correct color) – NOTE: Ruby Red is a ‘dark red’ color. 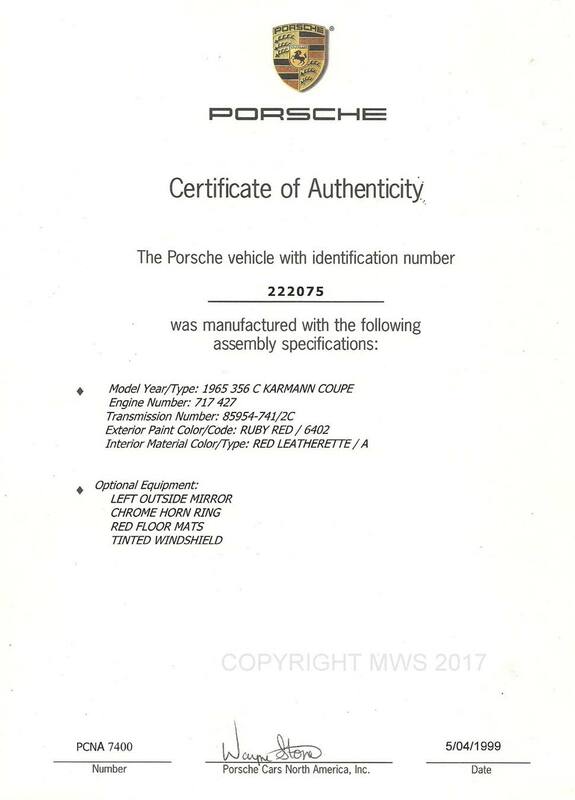 Some of the photos make the car look to be a ‘lighter red’ than it really is.. it is NOT a ‘guards red’ or ‘fire engine red’ it’s darker than that… it’s ‘Ruby Red’. Purchased by current owner in San Diego, CA in 2014. He drove it from San Diego, home to the Minneapolis, MN area. 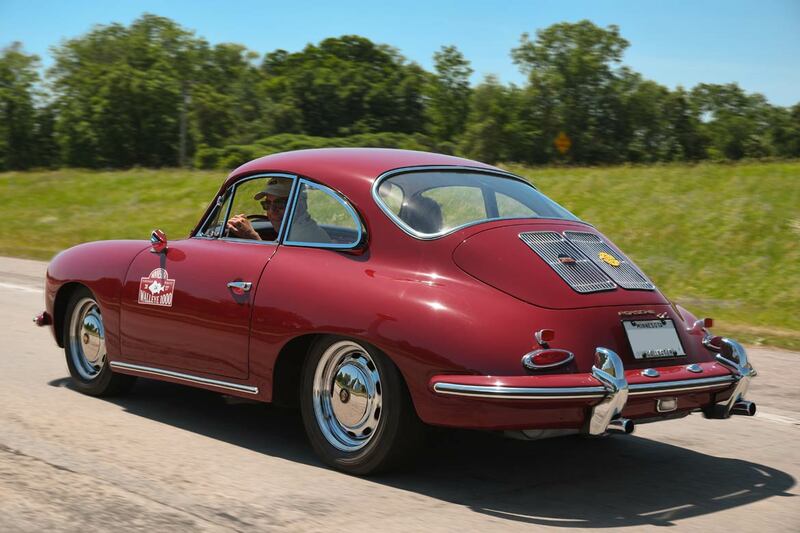 Participant at the 2015 ‘Gather on the Green’ Concours d’Elegance – held in conjunction with the Elkhart Lake Fall Vintage Festival (Invitational). Exterior repainted in 2001 – included new windshield and various body seals. New interior also installed in 2001. Engine: Engine is not original to the car. According to the part numbers on the various pieces, it is an earlier engine with an SC engine block from early 1964 with big bore pistons. It was rebuilt in 2003, odometer read 19,490 at that time, approximately 30k miles on engine rebuild. All bearings, pistons, cylinder heads, flywheel seal replaced. (From the owner) “As far as I know, the engine block is not original to the car. The top end work (pistons, cylinders etc.) was done in 2003. The Solex carbs are a ‘nod’ to those correct for an ‘SC’ engine. 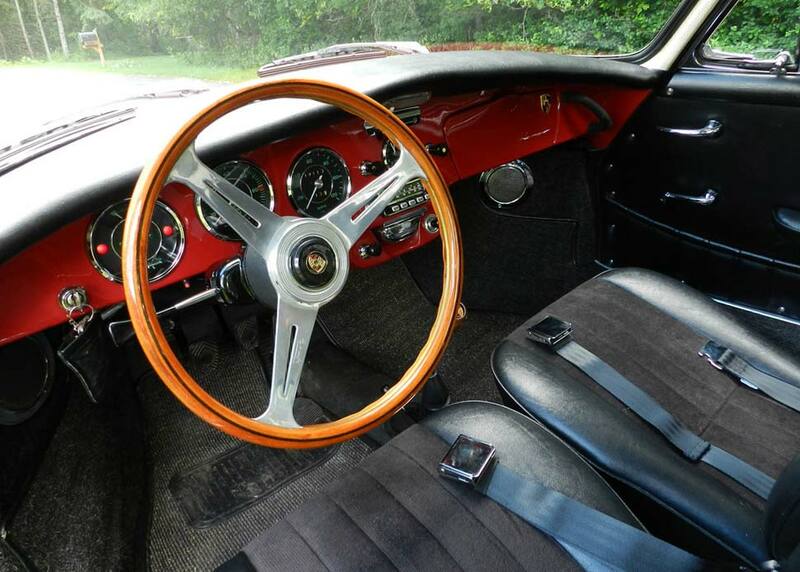 Nardi wheel, very nice interior. 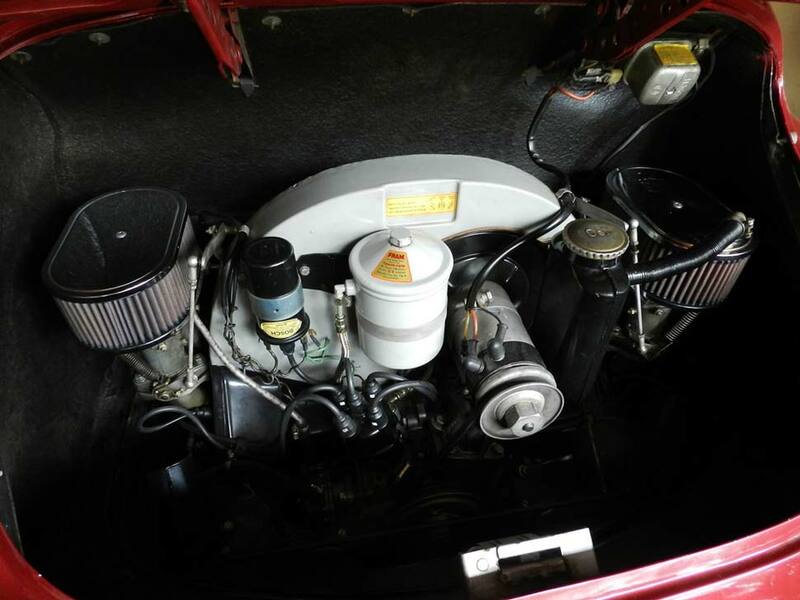 Engine rebuilt in 2003, Solex carburetors, extremely clean. 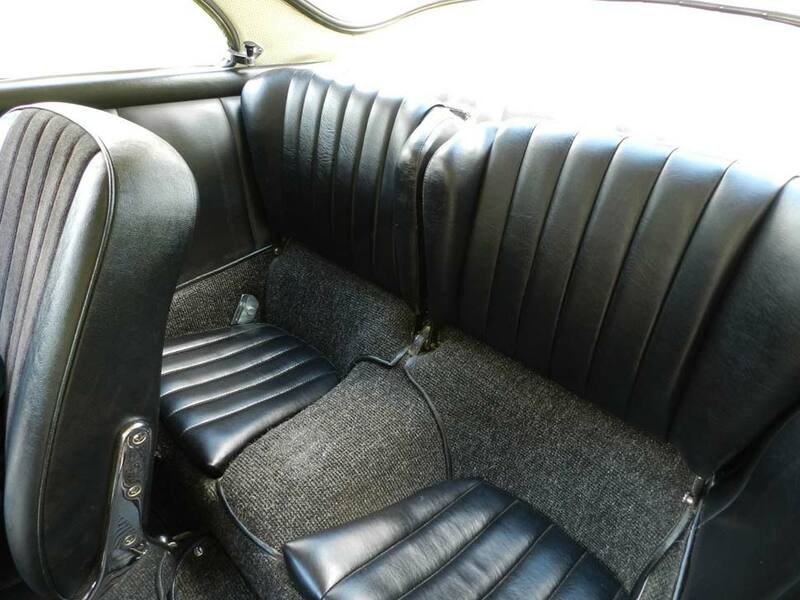 1969 Mercedes 300SEL 6.3 For Sale – Well Maintained Example, Ready for Anything!